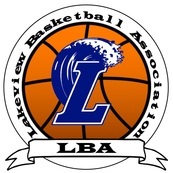 Lakeview Basketball Association (referred to as LBA) is an organization designed to help promote and develop basketball programs for boys and girls in the 4th through 6th grades. The development of boys' and girls' basketball will focus on providing the youth with the fundamental understanding and enjoyment of basketball. Participation and sportsmanship will be stressed at all levels, with a primary concern for developing basic individual skills and general team concepts.